I loved this article from this tumblr :) This is an awesome brother mashAllah! In the past couple of days, I’ve been witness to something that has angered me beyond measure. Some Muslim women started a hashtag on Twitter to talk about their issues. Why Twitter you ask? Well, because women’s issues are only marginally covered in the broader media unless it’s somehow connected to “saving” them or hijab or Femen. Under this hashtag - #IfKhadijaCanDoIt -, they were attempting to talk about the issues and problems facing them in current times. I’m tired and fed up with the double standards you have when it comes to Muslim women. Why do I sense that there are two Islams for some of us? 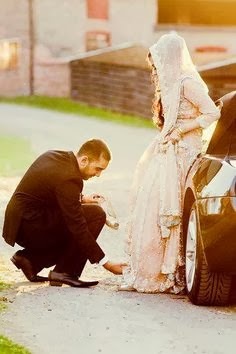 Why do I feel like the Islam for men is different from the Islam for women? On the one hand, there’s the cosmopolitan, inclusive, open Islam for men. It’s political, spiritual, religious. 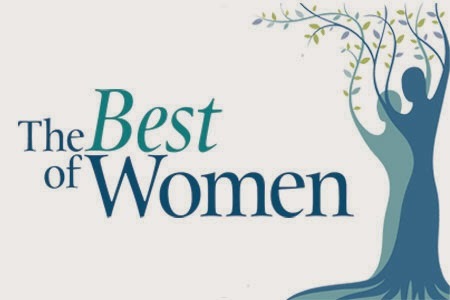 On the other, we’ve constructed an Islam for women that is only concerned with how they should belong to us in some way - whether as mothers, sisters, daughters or wives. When we talk about Muslim men’s rights, we talk about everything - employment, immigration, health, education, workplace discrimination, systematic racism, racial profiling, insecurity… you name it, we talk about it. The Islam for men is politically charged. We use it to tackle issues that we face daily in our lives as independent beings with inalienable rights. However, the Islam we’ve constructed for women serves only one purpose: to train women to be “good” mothers, wives, daughters and sisters. We don’t look at women’s problems in the same way as we do our own. We treat them like they’re far less dire than the hurdles facing us. When women attempt to get us to take them seriously, we patronize them with words like, “This is not as important as X, Y and Z facing the community right now.” As if women don’t have to struggle with issues we do. 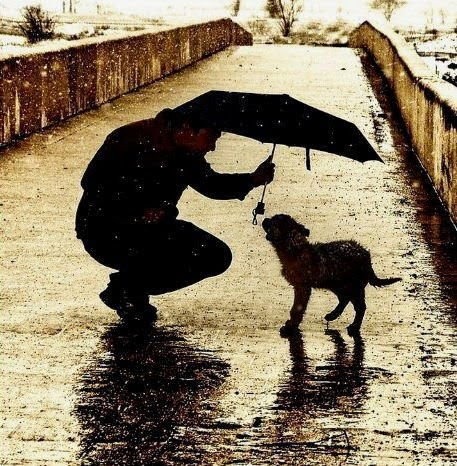 We pretend like education, health care, immigration, racism etc… don’t affect them. Like they are only men’s issues. Some of us push hard to stunt their inclusion in our political struggles. When we allow them to join, we tokenize their presence. We’re happy to have them in full hijab, or with purdahs at rallies to show off how accepting of women’s rights we are. We like to talk about it to media. We showcase women in our political struggle, but behind closed doors, we’re just as prejudiced against them as the system that oppresses them. We ignore that not only do they have to face every single problem we do, but they have to struggle against systemic and systematic misogyny, too, - not to mention far higher levels of sexual violence and almost all the sexual harassment. Obviously, the worst of us want women to be confined to our houses - their role only to support us physically, spiritually and sexually. 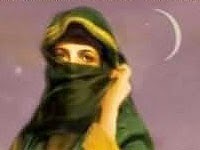 However, even among the best of us Muslim men, some treat women only as good as they can serve us in some way. Even when it comes to our political struggle, we include women to raise awareness about issues that are hurting us men, but when it comes to their problems, some of us abandon them. We don’t stand behind their voices. The worst don’t even listen. Lack of access to or cramped spaces and humiliation at mosques? Their problem. Sexism at work? Their problem. Misrepresentation in the media? Their problem. If it’s something that pertains to only Muslim women, we pretend like it doesn’t even exist. We’re ready to defend ourselves when some Islamophobic nutjob collectively accuses us of treating Muslim women harshly, but when it comes to Muslim women being treated harshly by others, we don’t even notice. When Muslim women fight with us for our rights, they’re welcome. When it’s their rights, they stand alone. It’s like some Muslim men - even educated, cosmopolitan, “enlightened” men - feel shamed by supporting Muslim women. But this… this angers me the most. This phrase that gets thrown around by some men when they’re confronted with women who want their rights, “Islam already gives women all the rights she needs.” This. Is. Bull****. Brothers, when we are beat up by cops in NY, do we say, “Islam already gives men all the rights we need.” ??? Brothers, when our mosques are bugged by the FBI, do we say, “Islam already gives men all the rights we need.” ??? What about when we’re not hired because we’re brown? “Islam already gives men all the rights we need,” ??? No? Brothers: Why is it that when Muslim men face racism and discrimination, we don’t talk about the prophet’s companions Othman or Omar? Brothers: Why is it that when the police uses violence against us, we don’t talk about Abuzar or Talha? Brothers: Seriously, if Islam is for all time, then why are we not able to see our issues in the prism of 1,400 years ago? Oh, but just you wait till women’s issues come up. We all suddenly become scholars of early Islamic history. Tell me brothers: How can looking at Khadija help a Muslim woman who’s being denied access to education by the state? How does looking at Ayesha help a Muslim who is being sexually harassed on the way to work? How should a Muslim woman who’s being discriminated against at work follow Fatima to solve her problem? You can’t because you and I both know why we use Khadija and Ayesha and Fatima when it comes to women’s issues. We tell Muslim their problems are solved by women from early Islamic history because they were all housewives. That’s what some of us want Muslim women to be, brothers. We want them to only serve our needs. Their existence tied to us. We don’t actually want to support Muslim women in their struggle against issues facing them. We just want to one up them while acting smart about it. But to live a life like Khadija or Ayesha, you need to have a husband like Mohammed, which I don’t see any of us being like. Even if Muslim women choose to be housewives - and many do - they’ll still struggle against patriarchy - at home. The truth is, when some men tell Muslim women they should follow Khadija or Ayesha, what we really mean is: “Follow men.” Guess what: If there was a school in Mecca in 7th century AD, I’m sure Khadija and Ayesha would’ve liked to go to study, too. Muslim women would’ve become nurses, doctors, and teachers, too, if those institutions existed. If all the Muslim women should do is what women in 7th century AD Mecca did, then why are men doing different things? Why don’t we men take camels up and down the Mecca-Syria trail since that’s what the best Muslim men back then did? Name one male companion of the prophet who was a doctor or an engineer or a college professor. One. (The answer by the way is zero). Better yet, why aren’t we dreaming of becoming sheep herders when we grow up because that’s what the prophet grew up to do. The truth is, some of us use Khadija and Ayesha and Fatima’s names to enslave their daughters - nothing more, nothing less. Worse, we use Islam to justify our own inadequacies, our own prejudices and our own misogyny and contempt for women. No, Islam doesn’t give women all the rights they need because some of these rights didn’t even exist back then. There were no constitutions, no social contracts and no inalienable rights. So what is the solution? How can we men help? 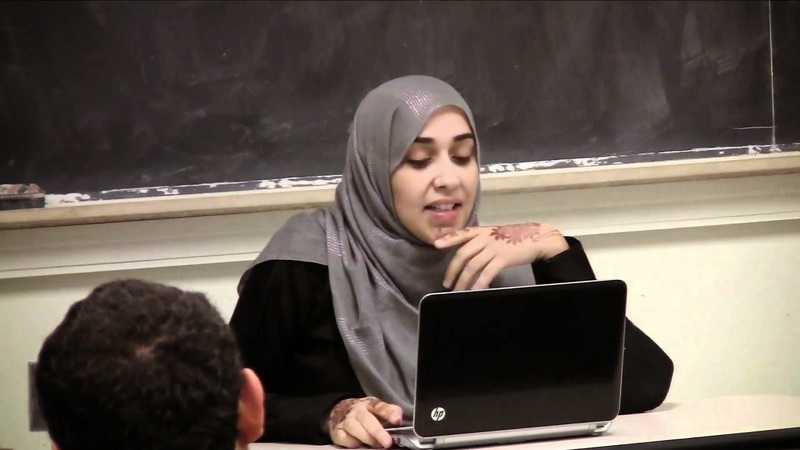 Here’s a revolutionary idea: listen to Muslim women. Muslim women know their problems and the solutions to them. They’re working on it. All they need from us is support. They’re fighting against the system denying them their rights and you know, their issues are too complex for a guy - like me and you - to understand on our own. We have to learn - from them. After they’ve made us understand, we have to ask them how we can support them. Not support them the way we would like to. Most of all, we men shouldn’t try to come up with answers: Muslim women already have most of them and are working on the rest. Our job is when women come out to implement their solutions to stand behind them or beside them. Not in front of them. They’re already in the trenches for their rights and for solving their issues. They need amplification of their voices not obstruction. We can stand with them against the state, the religious establishment, even our own brothers - just like they stand with us when our rights are at stake. Or we can ignore them, but even ignoring them - at this critical juncture - is better than beating the Khadija and Ayesha drum. Not only does it demean Khadija and Ayesha and show our contempt for women, it also gives the system extra ammunition to oppress women. After all, if Muslim men don’t want women to have their rights, why should the states care? 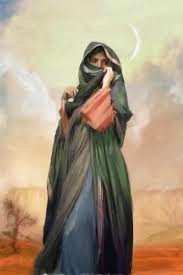 IT is said that Hazrat Aisha was six years old when her nikah was performed with Prophet Muhammad (PBUH) in Makkah, and nine years old when she moved in to live with her husband in Madina after Hijra. Hazrat Aisha used the kunniat, the title derived from the name of a child, of Umme Abdullah after her nephew and adopted son. If she was six when her nikah was performed, she would have been only eight years his senior, hardly making him eligible for adoption. Also, a little girl could not have given up on ever having her own child and used an adopted child’s name for her kunniat. The Quran describes the Prophet Muhammad’s (peace be upon him) beautiful, loving, compassionate and caring character in these glowing words: “He is ever yearning for your welfare and very compassionate and beneficent towards the believers”. He loves us and Muslims in return love him too. Loving is this intense feeling of affection, fondness, delight and admiration for the most magnificent person who ever lived in human history. History has produced many great leaders who have left their marks on different walks of human life. There have been great philosophers, scholars, pious saints, conquerors, poets, musicians, inventors and doctors, all these great men have changed the course of human history for better one way or another. The Quran describes the messenger of God’s (peace be upon him) special role; “There is a beautiful role model for him who wishes and hopes to meet his Lord” (33:21). Therefore the Prophet Muhammad (peace be upon him) is really a role model and exemplary person. We recognise the need for role models, children imitate their parents, students copy their teachers and those who yearn for perfection, he is a role model for all in beliefs, behaviour and lifestyle. 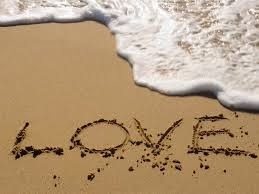 Love is an intense feeling of deep affection and fondness for someone. It’s a transitive verb which requires an object, so you love something, you love someone, you delight in them, you admire them and cherish them. Muslim poets have expressed their love for the Prophet (peace be upon him) in various ways. For a Muslim the Prophet (peace be upon him) is really the centre of his life, of his attention and of his very being. So if you imagine Islam is the name of a body then Muhammad (peace be upon him) is the spirit of that body and if you imagine Islam is a tree then Muhammad (peace be upon him) is the leaves and the fruit of that tree, if Islam is a flower then Muhammad (peace be upon him) is the scent and that beautiful colour. In brief whatever image of Islam you can conjure and imagine, then Muhammad (peace be upon him) is the lifeblood of that. Loving the Prophet (peace be upon him) is really the very essence of believers life and the early Muslims displayed this deep affection and this intense love of the Prophet (peace be upon him) openly. Here is a description of their passion for the Prophet (peace be upon him): Urwa bin Masood Saqafi was the ambassador of the Quraish at the time of the treaty of Hudabiya on his return to Makkah he said to them “I witnessed some amazing scenes, when Muhammad washes himself, his disciples do not let a drop of water fall on the ground, they take it in their hands, whatever he says they obey him, I have visited the courts of the Roman and Persian emperors but nowhere have I seen such scenes of loyalty and dedication to their leader”. Even the world of kufr knows that in order to defeat and divert the Muslims from their religion. They have to weaken this link with the Prophet (peace be upon him). Iqbal the great poet of Islam reveals this conspiracy of the non-Muslims in this couplet. He said “this starving man who does not fear a bit, take away from him the spirit of Muhammad and give him Western ideals and it will be then it expelled and then you will be able to easily expel Islam from the Muslims”. So we see that the love of messenger (peace be upon him) is the energy that drives the believers on the straight path, it is the shield, which protects them from the evil influences of a society and the deceptions of his own ego and the snares of satan. Let me give you another example of the disciple’s love for the messenger (peace be upon him). Aisha the mother of believers reported that one day Sauban a disciple came to the messenger (peace be upon him) and he looked quite sad and the messenger (peace be upon him) said ‘why are you gloomy and sorrowful?’ He replied I love you more than myself and my family and whenever I miss you I visit you, but now my anxiety is increasing that in the hereafter when I die you will be in a very lofty place near your Lord, but I don’t know where I will be, this worries me, this thought of being detached from you and not being able to visit you makes me miserable. The Prophet (peace be upon him) on hearing this was very moved and was quiet for a while then this verse was revealed from God: “whoever follows God and his messenger these are the people, whom God has blessed they are the prophets , the truthful, the martyrs and the righteous people. What a wonderful group of friends” (4:69). Another poet eloquently puts this point when he says: ”the love of Muhammad is the first requirement of religion if this is lacking then everything is incomplete”. Love is the intense feeling of fondness for someone who has outstanding qualities, he has force field of energy about him which attract others. It is difficult to pin down what love is precisely. 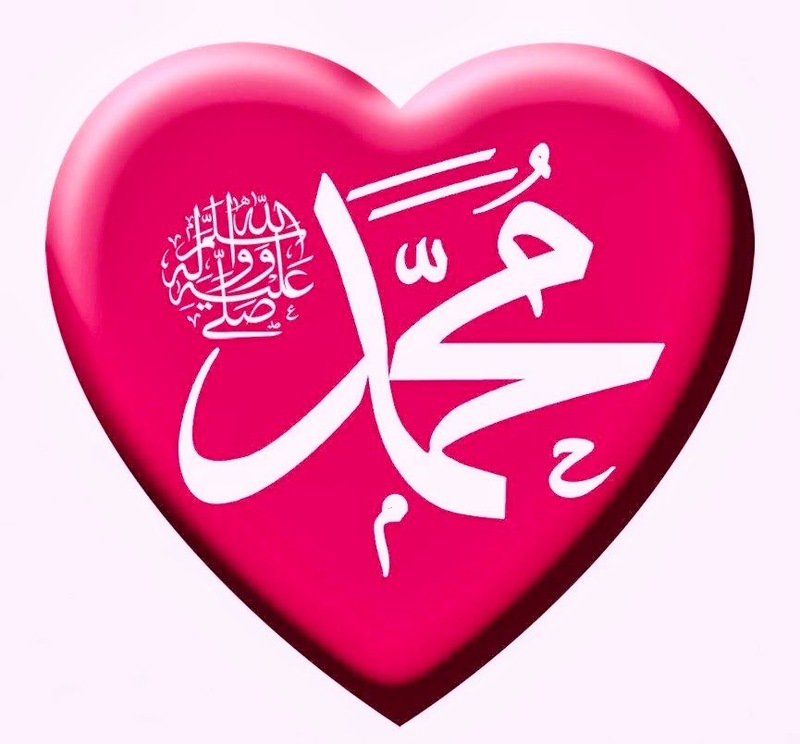 However, we can identify two reasons for loving someone; his special quality of attractiveness due to his power or knowledge and secondly a favour that he has done to us making us indebted for the protection and security whether it is financial assistance, when we look at the life of Muhammad (peace be upon him), we see in him the most wonderful qualities of generosity, kindness, compassion and forgiveness. Another immense favour on mankind is delivering mankind from the darkness of ignorance to the light of deen. Twenty years ago, on 25 February 1994, Baruch Goldstein, an American Jewish settler from Brooklyn, New York, walked into the Ibrahimi Mosque in the Palestinian city of Hebron, in the occupied West Bank. It was during the Muslim fasting month of Ramadan. He opened fire, killing 29 Palestinian men and boys and injuring dozens more, before his victims overwhelmed him and beat him to death. For years afterwards, the mass murderer’s grave became “a pilgrimage site” for admirers. Even recently, Israeli settlers have celebrated Goldstein as a hero, teaching their children to revere him for his murderous act, especially during the Jewish festival of Purim. Goldstein had lived in the settlement of Kiryat Arba and had been a member of the violent extremist Jewish Defense League, founded by Meir Kahane. On 6 April 1994, Palestinians carried out the first ever suicide bombing targeting Israeli civilians, killing eight people in the northern town of Afula. Hamas, which claimed responsibility for the bombing, said it was in retaliation for the Hebron massacre. In the days immediately after the Hebron massacre, Israeli occupation forces took action not against the settlers but against Palestinians: Israeli forces killed and injured dozens more unarmed Palestinians protesting the massacre across the West Bank and Gaza Strip. This set the pattern: instead of cracking down on the settlers, Israel escalated its persecution of Palestinians, especially in Hebron, gradually allowing the settlers to take over more of the city. The Ibrahimi Mosque was forcibly partitioned with settlers being given most of the space – a precedent many Palestinians fear the Israeli occupation will one day try to repeat at Jerusalem’s al-Aqsa Mosque. Since then, settlers have aggressively seized Palestinian properties in the Old City, leaving much of the city center a ghost town. In the beautifully shot 5-minute documentary above, Hebron Under Siege, Palestinian filmmaker Nizar Abu Zayyad visits some of the residents of old Hebron’s main thoroughfareShuhada Street, shut down by Israeli occupation forces since the massacre. “We are barred from using the street in any way,” she says. Settlers can go where they like and often throw things at Palestinians and curse them. “You feel you are under house arrest, a prisoner in your own house,” Mohtaseb adds. After the massacre, things changed totally, he explains. Israel closed the area to Palestinian vehicles before it became strictly off limits in 2002. Samah Brewesh, 15, talked about the daily ordeal and harassment children like her face because of the settlers, while the settlers enjoy every advantage. Zuleekha Mohtaseb wants to use her front door. “We want the settlers gone,” she says.